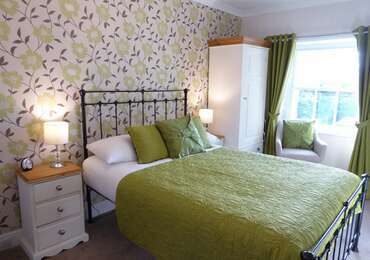 Rockside, Guest House a quality Adult Only Lakeland Guest House offering bed &breakfast accommodation in Windermere. 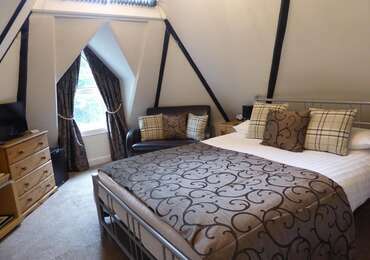 Built in 1847 from Lakeland stone, Rockside is a quirky Windermere Guesthouse full of Character and Charm. Owner managed by Martin &Caroline, Rockside has been sympathetically modernised to provide you with all your modern day comforts while still retaining many of its original features. Rockside Guest House is situated at the head of Windermere village, less than 2 minutes walk to the train and bus station. Windermere's many restaurants, pubs and shops are virtually on our front door and with Bowness and Lake Windermere a short 20 min walk away, Rockside's location is ideal. Breakfast is the most important meal of the day and at Rockside Guest House we give it the justice it deserves. We offer a range of options to cater for all tastes, from our substantial Cumbrian Full Breakfast to Lighter Bites and Vegetarian Alternatives. All prepared using quality local produce and served with our delicious homemade marmalade and jams. Off Road Parking is available for up to 9 vehicles in our own private car park. King Size Bed with Memory foam Mattress.